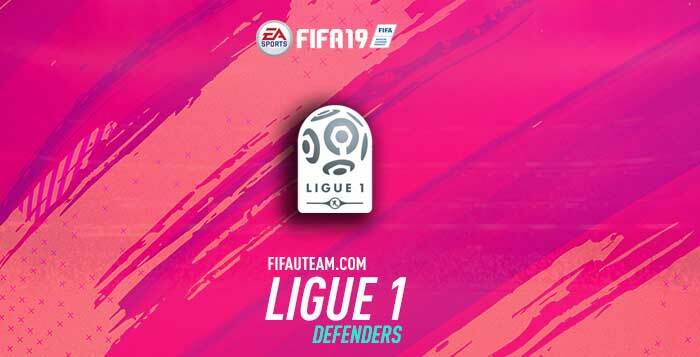 Who are the best FIFA 19 Ligue 1 defenders? Let’s find out good right-backs, left-backs and centre-backs to your team! A goalkeeper task is made easier if in front of him are quality central backs. Their function is to stop the opponent from getting dangerously close to your team’s goal. Thiago Silva is still the highest rated centre back playing in France. On a centre back, two attributes assume particular importance on their performance: defending and physical, which represents strength, stamina, aggression and jumping. A player with good at defending will have an easier chance of dispossessing the opponent and avoid him reaching your box. It’s the case of the Thiago Silva and Marquinhos. It’s really hard to get past them. The physical attribute shows the old heading capability but also how likely the players are to win game with their body. This is a crucial attribute when looking for the best centre back. In this chapter, it’s Marcelo and Rami who stands out. Defending and heading may be useless against fast opponents. It’s necessary to fight fire with fire. No one likes feeling impotent when seeing you get overrun by extremely fast players. Even though, in a way, centre backs aren’t that fast, every team needs one of these players with a high pace attribute. 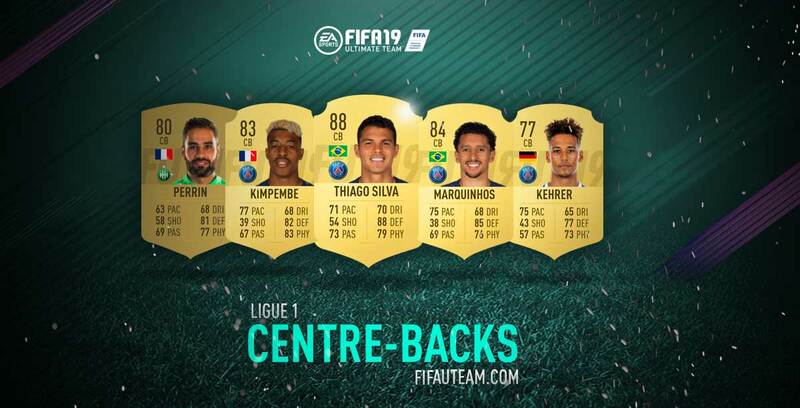 Kimpembe and Djiku are the fastest centre back playing in the Ligue 1. Thiago Silva is obviously our number one choice for this position. He is the one with the best defending, passing and dribbling stats. In terms of cheaper centre backs, our suggestion goes for Presnel Kimpembe. His upgrade was a pleasant surprise and comes to improve the defence in a way that we haven’t seen since David Luiz and Umtiti left this league. Full backs have the role of troubling the job of wingers. In addition, good full backs also support their team mates on offensive manoeuvres. 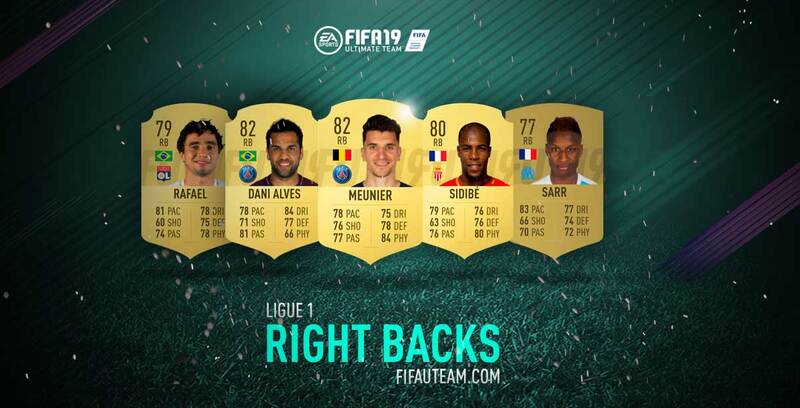 Dani Alves and Meunier are the most popular right backs playing in Ligue 1. There are very important attributes for any right back: defending and pace. Since they’re defenders they should have good defending capacities. This reduces a team’s risk of conceding. In France, no other RB defends as well as Meunier and Tete. A flanked game tends to be faster than a game based in the middle of the field. The players that fill these spaces are obligated to be fast, both penetrating defensive and attacking moves of the team. Pace is one of the most important requirements for a good full back. Even in FIFA 19. Kévin Malcuit is once again the fastest RB playing in this league. In our opinion, Dani Alves was relegated to the second position. Meunier is now the first option for this position. Just like Sidibé, he is much stronger. In terms of cheaper right backs, our suggestion goes for Rafael, a player with balanced stats. Left backs have exactly the same role of their team mates on the other flank. In other words, they try to make a winger’s job hard and participate in the team’s offensive manoeuvres. On the Ligue 1, there is a left back that stand out more than the other ones: Layvin Kurzawa. Besides being the high rated LB, Kurzawa is also the one who defends better in this league. Ferland Mendy is faster than any other left back of this league. 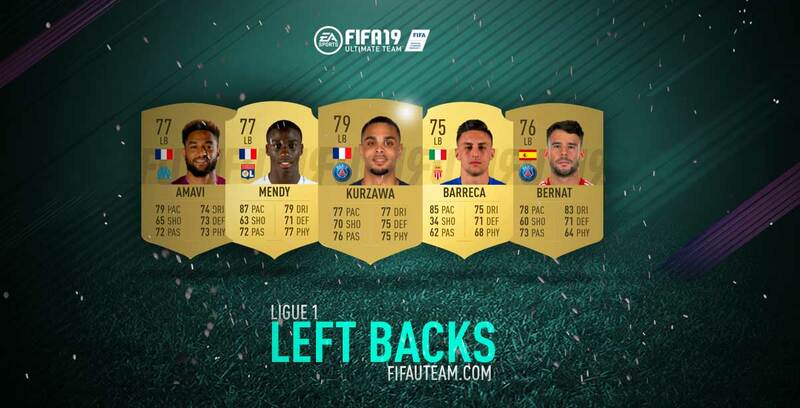 Kurzawa and Ferland Mendy are the best left backs in this league. What Mendy has more in pace, Kurzawa has in the other stats.